Aside from being a little under the weather, I am in quite high spirits today. Not sure why, but it’s just a good day and it’s Friday. Here’s some music news for yinz! Major congratulations is in order for Mr. Drizzy Drake. According to SoundScan, a music information and sales tracking system, Drake has scored the top-selling digital album for the first three quarters of 2015 with his If You’re Reading This It’s Too Late album with 951,000 in sales. And I have to let the people know this is more than Taylor Swift’s 1989 digital album sales, which are 809,000. She does however have the top-selling physical album, but we are talking digital here, so move along. Again, congrats to The Boy! Holy smokes. I ‘world premiered’ this remix in my car this morning on my way to work. It gave me life! Miguel’s sweet, sweet voice with Chris Brown’s added serenade and a splash of Future’s trap sound is the perfect mix. And I don’t know why I haven’t wished for this mix of artists before. Listen below! the game’s the documentary 2 out now! While I don’t typically listen to The Game on a regular basis, I do peep his music every once in a while. I’ve also seen him perform at the House of Blues in LA, which is now closed (sad face), and let’s just say everyone was on 1. He also brought out Bone Thugs-n-Harmony, so that was dope. I digress. I started listening to the album on my way into work, and from what I can hear, it sounds like a pretty solid piece of work. Lots of features and epic beats. I really dig the Kendrick track, ‘On Me,’ and ‘Don’t Trip’ featuring Ice Cube, Dr. Dre, and will.i.am. Game is also putting out The Documentary 2.5, which will be released October 16. Stream it below! Drake and Serena are not engaged. There was some speculation, not enough to have convinced me it was true, but these reports are false. A rep close to Drake told TMZ that the ‘rumor is completely untrue.’ Phew! You can read more deets about it here. Have a good one, yinz! Out of nowhere The Game dropped his song ‘100’ featuring Drake – the one they recently filmed the music video for in Compton. 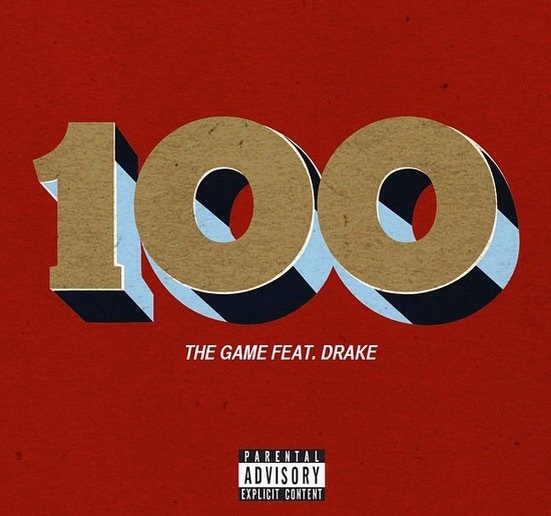 Listen to The Game and Drake ‘keep it 8 more than 92’ below.